Over the past 6 years, I've had the opportunity to travel to quite a lot of places and I'm incredibly grateful for all these opportunities. Yes, I admit that unfortunately I've got quite an expensive hobby and some may think that I must be pretty loaded to be able to travel to so many places. But let me set the record straight, I'm not born with a silver spoon and like many other people, I come from a middle-income family. Then you must be wondering how did I manage to fork out the money to travel to all these places? Ever since I started working 2.5 years ago, I've been fully responsible of my 'expensive' hobby. Being an auditor may sound 'glamorous' but the truth is I consider ourselves as cheap labors with no life. For people like us who just started our careers, we work hard to earn more money so that we can have the freedom to do what we want, but we do so at the expense of our time and health. That's the sad fact about most of us working a 9-5 job. But don't get me wrong, I ain't complaining my job and I'm thankful to be where I am right now. Most of the young people these days love traveling, but the thing that hold most people back from traveling more while they're young is money. In the first place, we don't earn a lot and after paying for all our living expenses, we're actually not left with much. On top of that, we're a generation that spends a lot on gadgets, shopping, eating out, and socializing. If you're living paycheck to paycheck, how do you expect to find the extra money to travel? No matter how budget budget traveling can be, it still entails money. Sorry for being a wet blanket but I'm just being realistic. Every now and then, we read or hear about people who quit their jobs and spend a year or two backpacking around the world. It does sound very cool and I admire these people. I have 2 friends who are actually doing this right now. They're currently in India living the cool nomadic life. It requires a lot of courage and determination to get out of your comfort zone, pack your life into a backpack, and expose yourself to all the uncertainties that the world offers. I kinda experienced the life of being a backpacker during our Amazing Race days coz throughout that one month, I didn't even need to think about which day it was, everyday felt like a Saturday. The only thing I need to think about is what new adventure will I experience next. That feeling is pretty awesome. But if you ask if I can see myself backpacking long-term around the world in the near future, I highly doubt that coz I guess I'm too much of a planner and down-to-earth to take the leap. So back to my question, how does a poor auditor like me afford to do all these traveling and still saving approximately 40% of my net income? This is solely my personal sharing and I totally understand that everyone has their own way of living. I admit, I'm an oddball female who doesn't like shopping (excluding outlet shopping in the US). I rarely eat-out or party but I don't mind splurging on eating-out on special occasions. I love surfing the net but I'm one of the rare ones around my peers who doesn't have a data plan for my cell phone. Bear in mind, there's a fine line between being thrifty and stingy. I'm not rich, therefore sacrifices have to be made to fulfill my passion of traveling. You would be surprised that saving up on smaller daily expenses can actually leave you with much more surplus to travel and see more of the world. 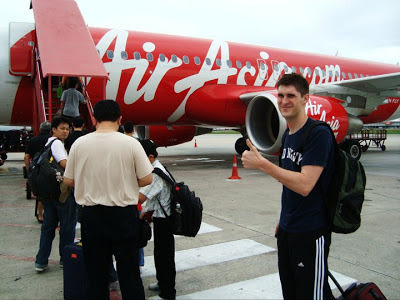 For a travel junkie like me, I think that the existence of budget airlines is totally awesome. The cheap ticket game is simple, the earlier you buy the cheaper it is (this rule doesn't apply 100% but most of the time this is the case). And you've gotta stay up late at night to grab the cheap tickets the moment the sale starts. The sales are usually a year ahead and it forces you to plan your travel plans one year ahead. Yea I understand, it's hard to know your work schedule one year ahead and you may have a nasty boss who'll refuse to approve your leave. The worse case scenario is to burn your tickets but at least it forces you to give yourself a vacation. The truth is, if you don't plan ahead, you're most probably going nowhere coz by the time you want to plan for a trip somewhere the next month, the air tickets would be so expensive that it'll stop you from going anywhere. Besides, booking tickets one year ahead helps you to spread your travel costs and it gives you something to look forward to. So far, I've spent approximately RM 1,800 for 3 overseas trips and 1 local trip between this June and next April. Ain't too bad right? I'm currently planning for my upcoming trip and the internet is such a great tool when it comes to planning out your own itinerary. Even though I've followed tours for my US and Europe trips, I wouldn't recommend following a tour if you're traveling in Asia (especially China) unless you're above 50 coz most of the tour packages are either overpriced or they have all sorts of hidden costs. The last thing you want for your vacation is to be forced into a jewelry or pearl shop and risk getting conned. If you spend 90% of your time on the internet, then I don't think it's that hard to plan out your own itinerary. I usually find hotels and read reviews on Agoda and Booking.com, I planned out my Japan trip with Hyperdia.com, I used Baidu extensively for my China trips, and Google map for almost every trips. You can actually find almost everything on the internet and by reading others' experiences, you learn to be a smarter traveler. However, don't trust everything you read on the internet until you've experienced it for yourself. For normal people like me who has a job, the duration that we can travel is usually very limited. I get approximately 15 days of leave per year, which is not a lot so I always plan my leave very carefully. For the past 2 years, I've fully utilized all my leave on traveling and even 15 days out of 365 days per year is not quite enough for me. I can't afford to waste my leave just chilling at home, I've gotta travel somewhere. I see traveling as a reward for one whole year of hard work. I don't have the luxury of traveling long-term like a backpacker, and I don't think I'll ever do that coz I'm too much of a planner. I try to make the best out of the 15 days of traveling that I get by making use of technology. So what do I mean by that? For each trip that I've booked, I would start doing my online research about 2 months before the trip. So for that 2 months, my after-work work is to find out more about the destination that I'll be traveling to, read blogs, read reviews about hotels, find out the best way to travel around, etc. If you've traveled with me, you would know that I'm an ultra-planner. I would gather all the useful information that I've read online and work out a perfect (in my opinion) detailed itinerary for my trip. 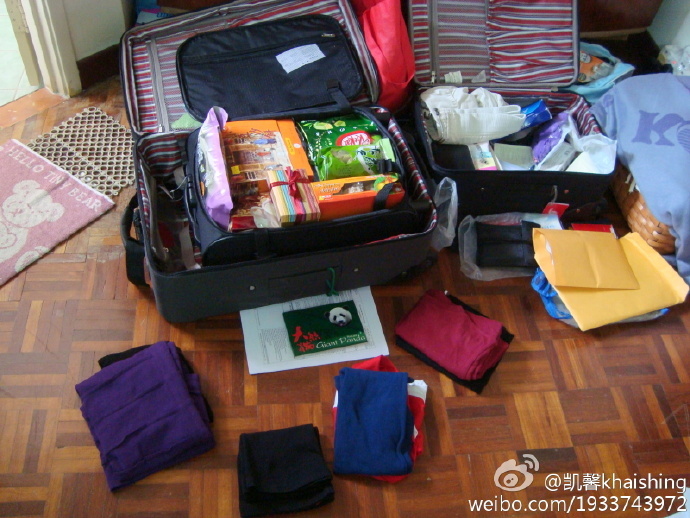 After sorting out all the details for the trip, I would take 1 week to pack my luggage...slowly. Then I would embark on my 'real' travel period for approximately 1 week. After returning from a trip, I would then spend about 1 month editing all my photos and blog about my trip. My blog serves as my memory bank as it helps me remember the moments and experiences that I've encountered along my journeys. It's also a platform for me to share my journeys with others who may be interested to make the same journey I did. So that's how I 'extend' my travel period from 1 week to 4 months. By doing so, I would feel like I'm traveling for one whole year by going on 3 separate trips. Haha...you would probably think I'm a psycho. If possible, try not to follow a tour and plan your own adventure. By doing so, you get to go to places that you wanna go and do things that you wanna do within your limited travel period and budget. Due to our work commitments, the duration that we can travel is already so limited, then why waste your precious holiday following a tour and end up doing things that you're probably not interested in? Try staying in hostels, traveling on public transports, and do things the way the locals do, it'll make your trip so much more interesting and memorable. You'll also learn to cherish simple things that you take for granted in your daily routine. I would love to have a job that pays for me to travel more but unfortunately that's not the case but I'm already pretty lucky to have traveled to Singapore and Shanghai for work. In fact, I've had the opportunity to travel quite a good bit before I started working. Of course, I've gotta thank my parents for all the Pama-sponsored trips prior to 2011. Since I wasn't able to pay for my own trips back then, I found several alternative sources of 'income' to fund my travels. My first sponsored trip was an all-expense paid week-long trip to Hawaii to watch Backstreet Boys live in concert sponsored by Sony BMG that I won from a radio contest. I know a lot of people listen to music on Spotify, iTunes, or Youtube nowadays but listening to the radio gives you the chance to win free trips. =P My second sponsored trip was a year-long student exchange sponsored by the US government. By saving up my monthly stipend, I used the surplus to travel to 15 cities in the US within that one year. My third sponsored trip was a month-long Amazing Race adventure which gave me the opportunity to travel to 9 different cities in China. Some may say that I'm lucky but I'd like to think that it's hard work and seizing every opportunity that comes by. Frankly speaking, I really admire your travel life especially when I came across on your winning trip to Hawaii. I am so jealous. Anyway, most what you blogged is what I did right now too. I used to be an auditor before and I understand how's tough life was.